Not only we present excellent products, but we are also flexible enough to make superfast deliveries and within the promised time. Quality packing material and advanced machines are responsible for the safe packaging of the orders from our end. Moreover, our experts keep a strict vigil on the entire procedure. 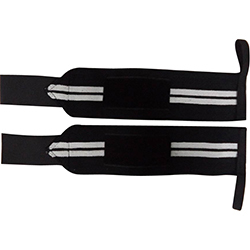 WB-207 Wrist Wrap With Thumb Loop is made of the finest quality material and are available in different color options.